Upgrading and enhancing the aesthetic appeal of a home is every bit as important as maintaining its structure and foundation. One of the most popular home improvement projects often undertaken by homeowners is that of painting the interior and/or exterior of their home. With that said, the highly skilled and licensed contractors here at American Renovation Services are on hand to take care of your every need. 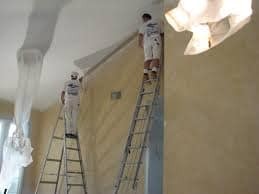 Our company has been providing top-rated painting services since 2013 and our Nashville painting contractors are truly among some of the best in the industry. Keeping a fresh coat of high quality paint on the exterior of your home will provide added protection from the outdoor elements, especially rain, snow and all other types of moisture. In addition, it acts as a primary defense against a variety of insects and other forms of outdoor damages as well. For these reasons, exterior house painting is important for the overall appearance and maintenance of your home. Applying a fresh, new coat of paint on the interior of your home will serve to protect all your indoor surfaces by minimizing wear and tear and protecting all your walls and trim from moisture. Interior or exterior painting will not only enhance the aesthetic appeal of your home, but will also enhance its overall value as well. A fresh coat of paint has a way of bringing a home to life and adding to both the look and feel of your property. 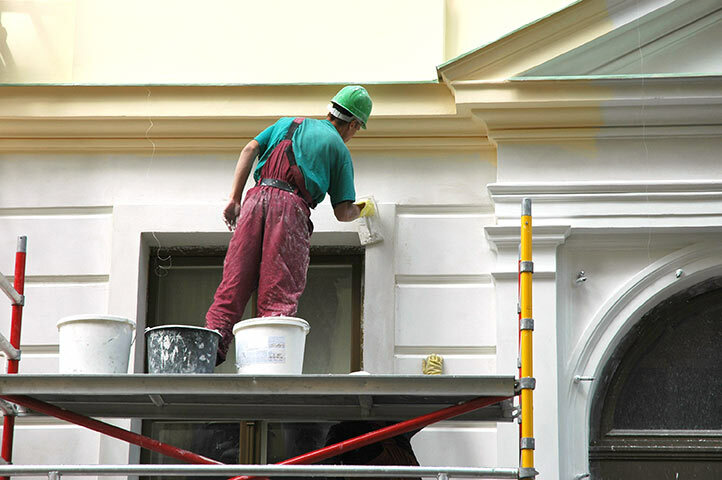 Painting contractors are available to answer questions and help with all your decision making. Whether you need help choosing the ideal color scheme to accent your existing home décor, or are looking for new ideas to showcase your personal style through specialized trim and accessories, your painting contractor is your personal consultant. Here at American Renovation Services, our qualified team of experienced consultants are on hand to help with all your decision-making as you set out to transform your home with a new coat of paint and a stylish, modernized look. There is no painting project too big or too small for our award-winning Nashville painting contractors who work right alongside you every step of the way during your home improvement project. Our friendly team of professionals provides the highest quality products and services at competitive prices. We warranty all our services and work within timelines that are accommodating to the needs of our valued clients. Whatever your painting project may be, surely, you have come to the right place. We pride ourselves on our premier products and services and our team of highly reputable Nashville painting contractors serving Middle Tennessee and many of its adjacent towns. Providing both residential and commercial painting services, you can be sure when your project is completed, you will be left with a beautiful finish and a durable top coat of paint that will protect your home, whether inside or out, season after season. With the spring season now upon us, why not take time out to schedule your free consultation. An interior or exterior painting project is sure to add class and luster to your home and your outdoor living space and make you the envy of all your neighbors. Reach out to our expert team here at American Renovation Services today. Our professional Nashville painting contractors look forward to adding style, charm and warmth to your Nashville home. Spring is in the air, and summer right around the corner. What better time of year to give your home a whole new look and feel, than right now!